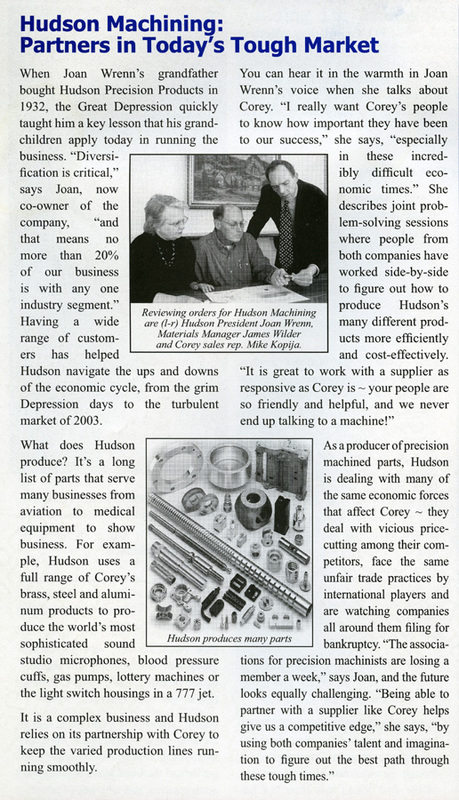 Hudson Precision was featured in Production Machining Magazine for the beginning of our second hundred years. Joan Wrenn and Hudson Precision Products have been strong advocates for Illinois workforce development and education of our youth. 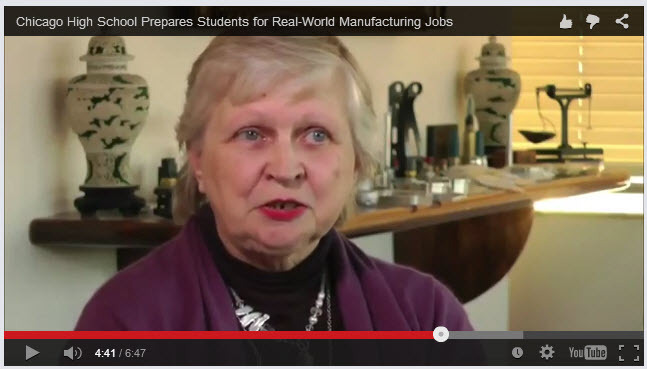 As one of the founding partners in the creation of the Austin Polytechnical Academy, Mrs. Wrenn was interviewed for this December 2010 PBS News story about the innovative program. "Chicago High School Prepares Students for Real-World Manufacturing Jobs"
Chicago Crain's Business highlighted Hudson Precision Products as one of the survivors of tough offshore competitition in their October 6, 2008 issue. Joan Wrenn, CEO of the woman-owned business is pictured.